This past November, the American College of Cardiology and American Heart Association redefined the way clinicians and the public should think about 'high' blood pressure. After nearly three decades of decline, deaths from heart disease have been on the rise over the past couple of years. While there are multiple risk factors for cardiovascular disease, the good news is that a number of those risks are controllable, including decreasing blood pressure. Previously, stage 1 hypertension began at 140/90 mmHg. 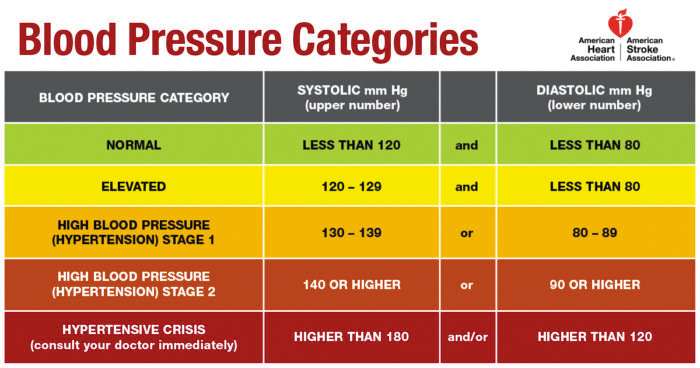 Now, patients with a blood pressure of 130/80 mmHg are considered to be hypertensive. Lowering the numbers has allowed clinicians to raise the warning flag sooner and institute lifestyle modifications and medication if warranted. 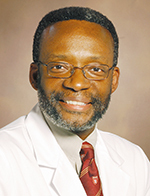 "We're getting aggressive in looking at how we define hypertension and making sure we're not underselling blood pressure," explained Walter Clair, MD, MPH, executive medical director for Vanderbilt Heart and Vascular Institute and president-elect of the American Heart Association - Greater Nashville. "We've all agreed for years that blood pressure is normal if it is less than 120 over 80," he said. However, Clair continued, hypertension experts have anticipated the guideline change for several years as the science has shown not only cause for increasing concern with a systolic number of 130 and diastolic measurement above 80 but also a benefit from treatment. "Even when we can show a correlation between bad outcomes and hypertension, we still have to show that treatment is going to make a difference," he said. With the science in place, these new numbers are the first change in blood pressure guidelines since 2003. Previously, patients with blood pressures between 120 and 139 systolic and/or a diastolic reading between 80-89 would have been classified as having 'prehypertension.' Now, anything greater than 120/80 is considered an elevated blood pressure. "It's not 'pre' so we don't say, 'We'll see you in a year,'" Clair said of the new trigger points. Instead, he continued, physicians should be intervening at that point and following up with patients more frequently to monitor improvement and sustainability. "Jumping all over it (hypertension) doesn't mean you should necessarily start taking a drug for it," he added in response to one concern some patients and physicians have voiced about the new guidelines. "But we begin to look more aggressively at cardiac risk factors ... and you now have one, elevated blood pressure ... so we should look at lifestyle, sodium intake, exercise, diet, smoking." Realistically, Clair continued, lifestyle modification only achieves a decrease of about 11 millimeters of mercury so someone with a blood pressure of 160/90 probably won't move the needle enough with lifestyle changes alone. However, he pointed out, those defined as having elevated blood pressure and stage 1 hypertension could quite likely get numbers back in the normal range without requiring medication. He was quick to add that doesn't mean lifestyle modifications aren't critical for everyone at any stage of hypertension. "Many people think because they are taking these blood pressure medications and controlling their blood pressure, they don't have to give up that frequent flyer card to McDonald's ... yes, you do," he stated. "You still have to do all of the other cardiovascular risk modification steps to get the full benefit. We continue to work to get that message out." In addition to lowering the definition of high blood pressure, Clair said the new guidelines also reemphasized the correct way to take a blood pressure reading - making sure the person is seated correctly, using the proper cuff size, waiting a few minutes after the patient arrives in an exam room. "We kind of got a little lazy about checking blood pressure over the last few years," he said. Technology, he added, can also be an important tool for getting an accurate read on blood pressure - particularly among a couple of specific groups. Mobile technology, Clair noted, eliminates 'white coat hypertension,' where patients experience a jump in blood pressure simply by being in a medical setting. "We now have the capability to actually look at people's blood pressure at home to see if they are really normal or not," he said. "The other group is people who are suspected of having high blood pressure," Clair continued. "Those people ... believe it or not ... actually have blood pressures that look pretty good, but it's labile." While they test normal at the physician's office, they actually have elevated numbers at home or work. "We have these two extremes of people - those who might be over-diagnosed and those who might be missed." The rising death rates underscore just how important it is to properly identify those at increased risk of heart disease. Additionally, Clair said, "We are worried the increase in childhood obesity is a precursor of another surge in cardiovascular disease." He continued, "For many years in cardiology, we have been striving to be the #2 killer ... it's a credit to our colleagues in oncology that cardiac disease and stroke remain #1 killers of both men and women in the U.S."
Noting that being the leading cause of death isn't a designation anyone wants, Clair said more aggressively monitoring and treating elevated blood pressure is one important step toward improving heart health.